Need summer dinner ideas? 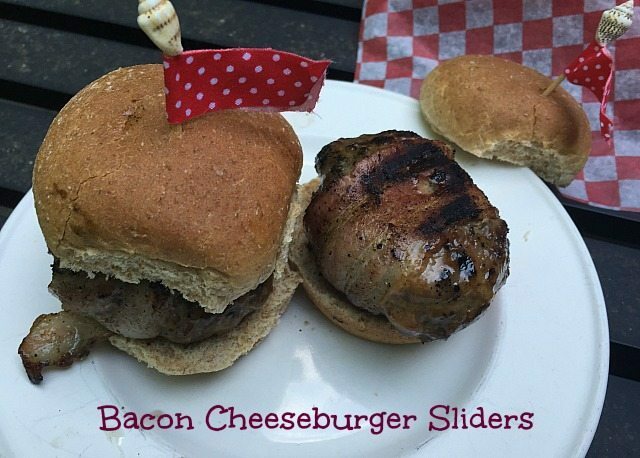 Well, light up the grill for these amazing Bacon Cheddar Sliders. The part I love about these is that they are small so they are perfect for entertaining. Plus this is one of our favorite summer dinner ideas because you mix everything before you grill so you can spend more time with your guests. Make them ahead of time and just store them in the fridge for the perfect summer dinner recipe. 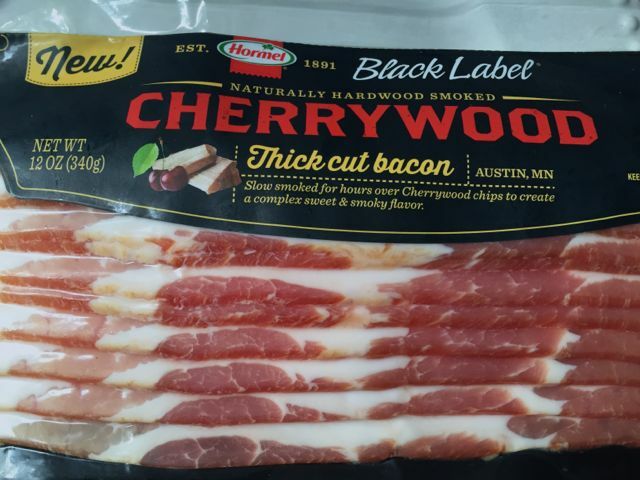 There is no skimping out on these burgers, we are using Hormel Foods Cherrywood BLACK LABEL® Bacon. If you have not seen BLACK LABEL® Bacon before it features exceptional varieties that never compromise on quality or taste. This includes traditional bacon varieties, fully cooked bacon, thick cut bacon & Canadian bacon. This can be the base for summer dinner ideas everyone will love! For 12 sliders you will need 2 lbs of the best ground meat you can afford. It really does make a difference to the flavor of the meat. We mixed 2 lbs of ground meat with 1 tablespoon of a salt and pepper mixture. If you have a favorite burger seasoning use that or just use salt and pepper. Trust me the bacon brings all the flavor. Add 1 cup of shredded Cheddar Cheese to the ground beef mixture. 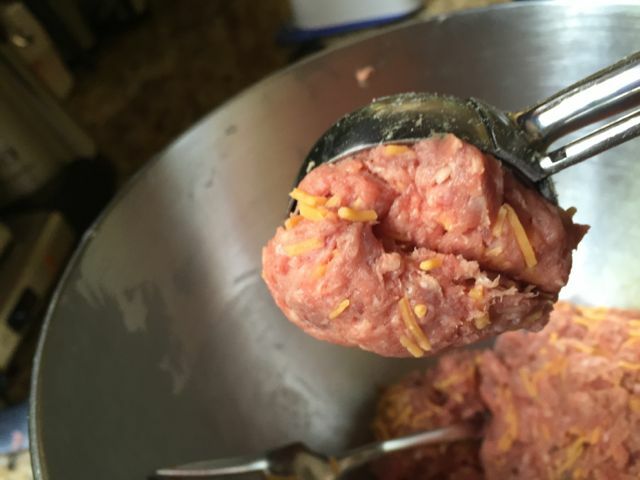 I like to use an ice cream scoop to help form the balls of meat for patties. This keeps them small enough to be considered a slider and keeps them uniform in size. 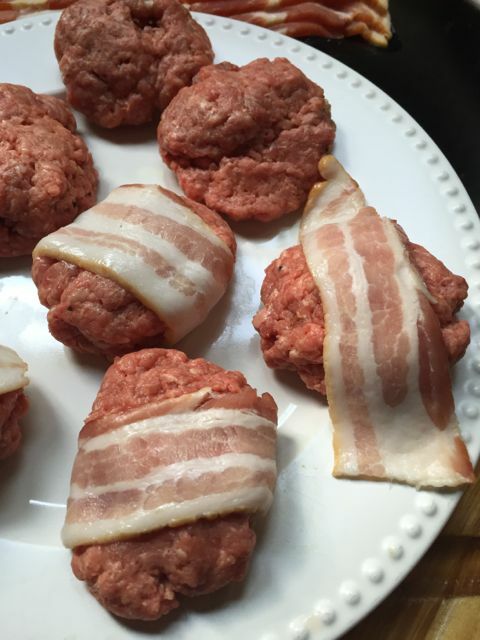 Cut the BlackLabel Bacon slices in half and wrap around each burger patty. This will help flavor the meat, and add a bit of texture to your summer dinner ideas like our favorite bacon cheddar sliders. You can cover and put in the fridge at this point to grill when guests arrive, or go ahead and put them straight on your grill. We cook on a charcoal grill, but you may prefer a gas grill. No matter which one you choose, a grilled bacon cheddar slider burger is one of our favorite summer dinner ideas because they are simple and so delicious! Grill them on both sides until your preferred doneness. (I love medium Rare) I sometimes had to adjust the bacon but just look at the yummy flavorings just oozing into your burger. Enjoy with your favorite toppings. My husband ate these without any ketchup or anything and my kids each ate 3. Be sure to visit the Hormel website for Easy Recipe Ideas, savings/coupons and to sign up for their Hormel Newsletter. I can’t wait to see what yummy summer dinner ideas you plan on creating. See what others Hormel Fans are making by checking out Hormel’s Facebook and Pinterest pages. What are your favorite summer dinner ideas? We love grilling up burgers, hot dogs, chicken, and other easy foods that are versatile and perfect for lunch or dinner! These are a great idea and look super good! I like the idea of adding shredded cheese to the hamburger mixture. Yum! 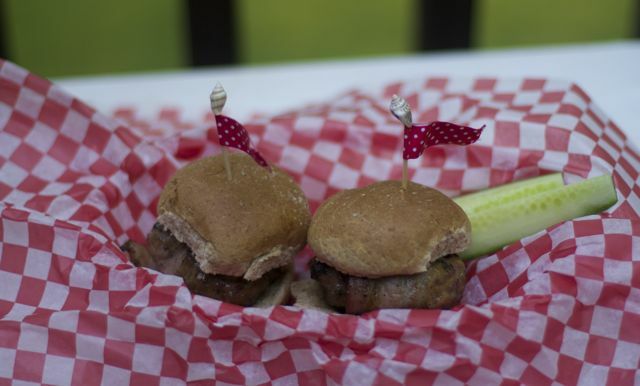 We are making sliders this weekend. I gotta go get bacon! Oh I love sliders/ This looks great. 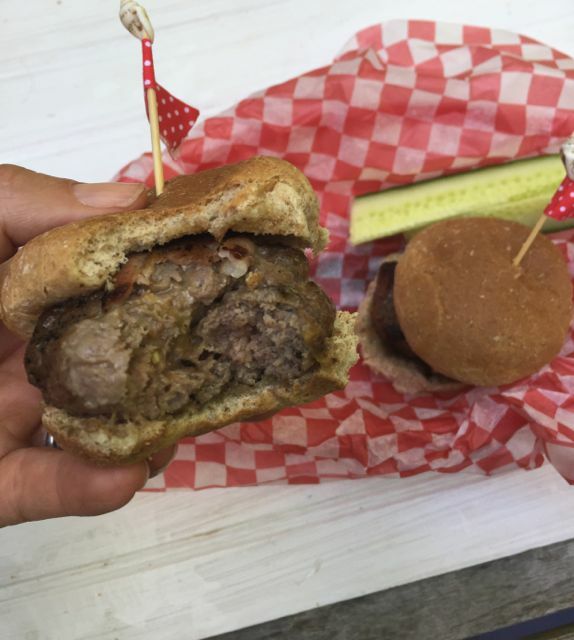 The slidders look delicious – this is a great twist on a regular hamburger. We love to grill in warm months – if I could I would grill everyday! Can I just tell you that the ice cream scoop to get evenly sized sliders is a genius idea. Showed these to my husband. he is going to make them this weekend. Sliders are so good! I am loving summer weather which means more time for the grill! YUMMY! Normally I don’t like bacon on my burgers, but this looks amazing. I will definitely be trying this recipe. 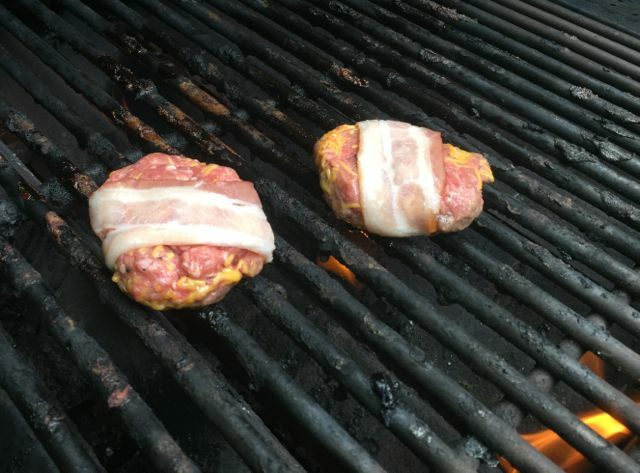 I love the idea of wrapping the bacon around the patty. I think this would be delicious to serve to the fam. Oh bacon! Yum! Everything goes great with bacon especially burgers! HOLY YUM! These sound incredibly delicious. 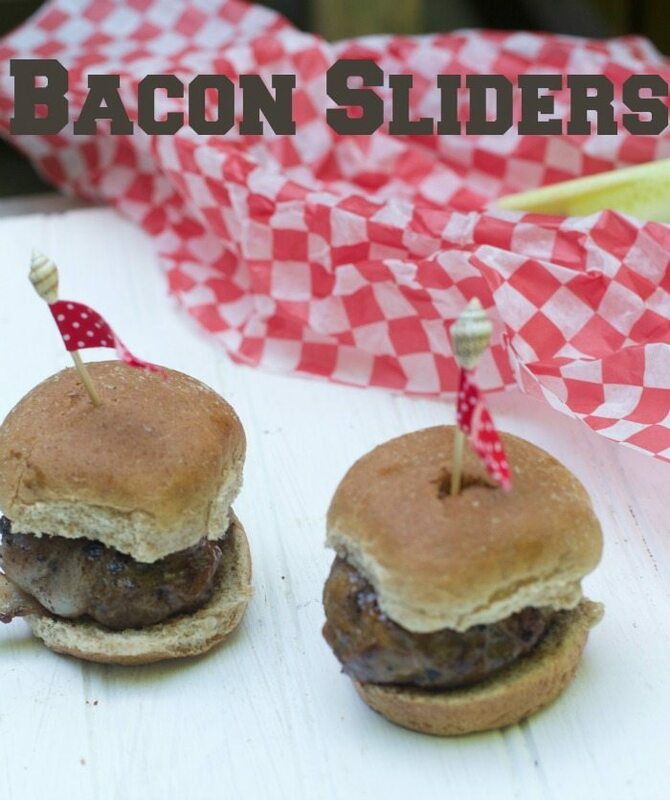 We love sliders, so this is definitely going on the meal plan and soon. Thanks for the recipe! I am such a burger fan and these look delicious. The bacon and cheddar bring them to a whole new level! These look tasty. I love sliders, they are the perfect size! Just in time for summer BBQ and Father’s Day! Loved all the yummy-looking photos! My boyfriend would be pretty excited if I made these. They sound delish! I hope they are a hit at your home too. My favorite part about summer is grilling. 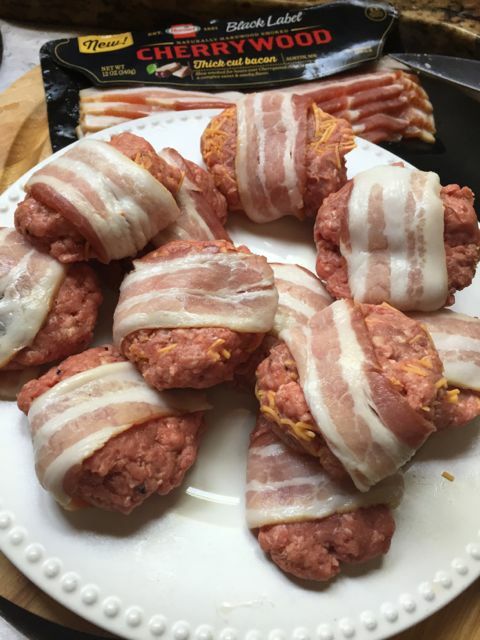 What a great idea to wrap the burgers with bacon! I’ll be using that tip! Yum! These Bacon Cheddar Sliders look awesome! I know everyone here would LOVE them! OMG! You are so speaking my language right now. No kidding I just went to the store last week and bought like 12 packs of this. I bought Cherrywood and Applewood and they are amazing! Best bacon I have ever eaten and I eat bacon every day so that’s saying something! I am having a barbq this weekend with a TON of people and trying to plan a menu. These are actually perfect and I can not wait to serve them to our guests! Oh man, those sound DELISH. I am soooo making these for my kids. Yum! These look delicious. My kids are huge Bacon fanatics so I’m sure they’d go nuts for these too!